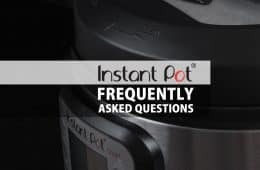 We received many readers’ questions regarding which Instant Pot Steamer Basket or Pressure Cooker Inserts to buy and where to buy them. So, we created this Best-Selling List featuring the 6 most popular steamer baskets and pressure cooker inserts among Instant Pot users. 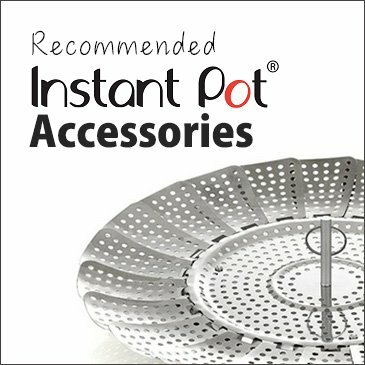 If you have been following our Instant Pot Recipes Videos, you might have noticed we often use this steamer basket! The inner pot of 6-Quart Instant Pot is 8 inches in diameter, the adjustable fit of this basket will prevent food from falling out. 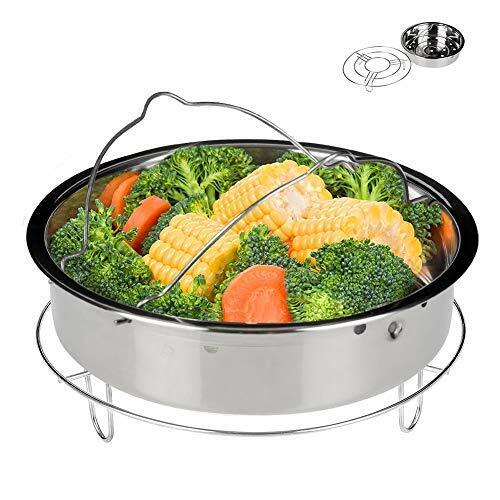 Not only do we love steaming broccoli or potatoes with this steamer basket (it truly helps potatoes retain their texture), we also love cooking chicken with it. 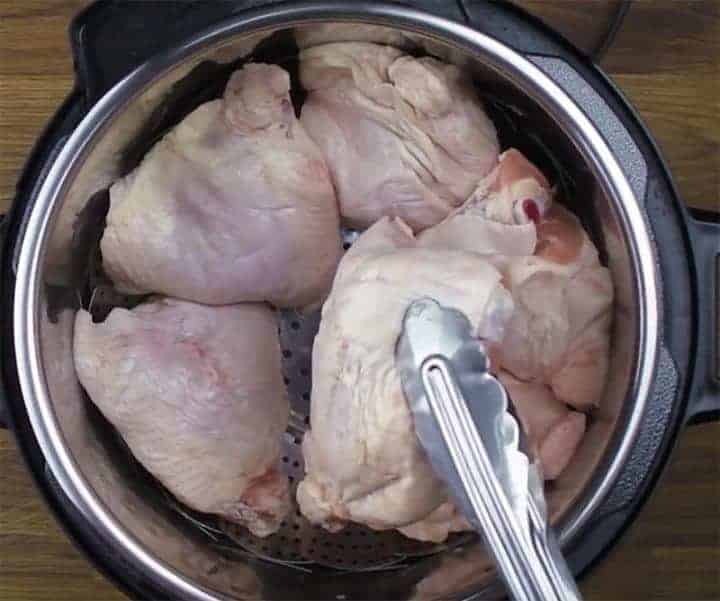 As shown below in our Crispy Pressure Cooker Chicken and Gravy Recipe, the chicken’s dripping made a homemade gravy at the same time using this basket! Note: We bought our steamer basket at a local store. 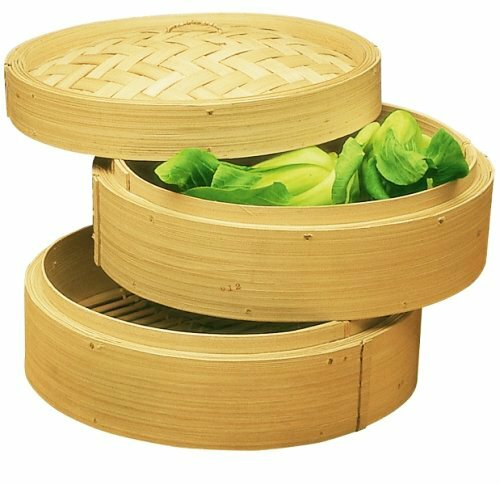 We found the one provided in the link has the most consistent & great customer reviews among many similar steamer baskets. Must-have in our kitchen! We use it frequently for our Pot-in-Pot (PIP) cooking method. You can see it in action with recipe + video here: Pressure Cooker Teriyaki Chicken and Rice Recipe. We have one steamer rack that is 5″ Diameter and another rack 6.5″ Diameter. They both fit easily into our 6-Quart Instant Pot Pressure Cookers. 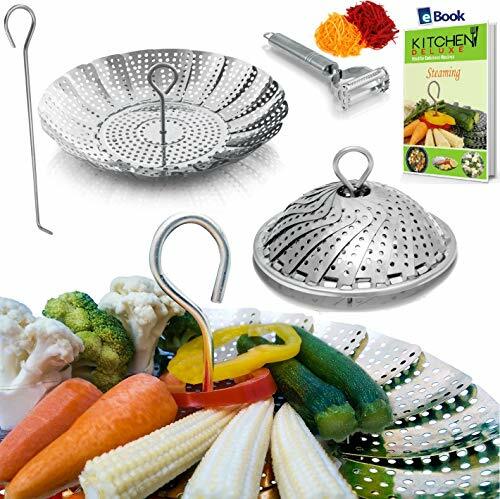 This steamer basket can also be used as a lightweight strainer. So, you can wash, drain, and steam your food in this all-in-one steamer basket. 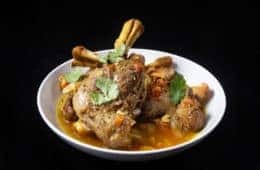 You’ll love this if you make your own bone broth or stock because you can easily remove all the ingredients at once, rather than scooping them out bit by bit. A must have in our household! Some of our readers asked if the bamboo steamer will hold up against the high heat in the pressure cooker. We are not totally sure, but we used ours occasionally for almost a year in the Instant Pot and they haven’t shown any wear & tear yet. Which Instant Pot Steamer Basket do you use and like? 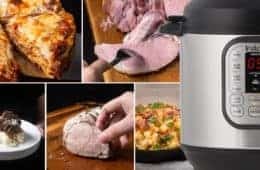 I have something similar it is called Zavor Lux Edge Multi-cooker can these recipes be converted to use in my cooker as well as the accessories? These recipes will work just fine as well as the accessories such as steamer baskets. If I double boil Chinese desserts using a stove for 40 mins. How do I translate that to IP? It depends on what kind of dessert. I will say 30 minutes due to the double boiling method. Hi this set it $10.99 on Amazon now. By the way I bought one at a local grocery store that is the Good Cool brand. It has silicone feet and a hard plastic handle (it looks just like the one online that is recommended for the IP, but a different color. I am assuming that the hard plastic handle can go in the pressure cooker since it is the same as online and would not be touching the water or the sides. What do you think? Can you take a picture and send it to us thru facebook? 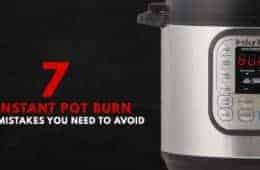 I am a long time cooker but short time IP’er… I have an Instant Pot IP Duo 8 Qt and have been having issues with the burn notice. I have read your tips and and am hopeful i can get over this hump and start to love my IP. I just got an IP and I’m so happy that I found your website! Thank you so much for all the tips and recommendations. I’ll need to try your delicious recipes soon. I have some questions, hopefully don’t bother you too much. I have a stainless steel stackable food container, do you think it’s safe to use in my IP? What about cake pans? Do they have to be something specially made for pressure cooker? Also, is it normal for the steam to come out a lot and make loud sound using Quick Release? Someone recommended putting a kitchen towel on the lid to cover the steam release valve. Is it safe to do that? Stainless steel food containers and cake pans will work in the Instant Pot. As long as the containers are oven-safe, it will work fine. It is normal to see a lot of steam comes out during the Quick Release. The Instant Pot manual says Do not obstruct or cover the venting knob with a towel, so I cannot recommend against that. Thank you so much for your prompt response, Jacky! Hello, all! I hope this isn’t a repeat question (I read through most questions/answers). I have the 8QT Instant Pot and am looking for recommendations of anything the specifically for the larger, 8QT version. The others are great, but I’m really hoping to capitalize on the size of this thing! The first Stainless Steel Steamer Basket should expand larger for the 8 quart. I just purchased it and it fits my qt IP. Thank you for the recommendation Catherine. I will have to purchase one and try it out. I do want to use my IP to cook dim sum and pork buns etc. 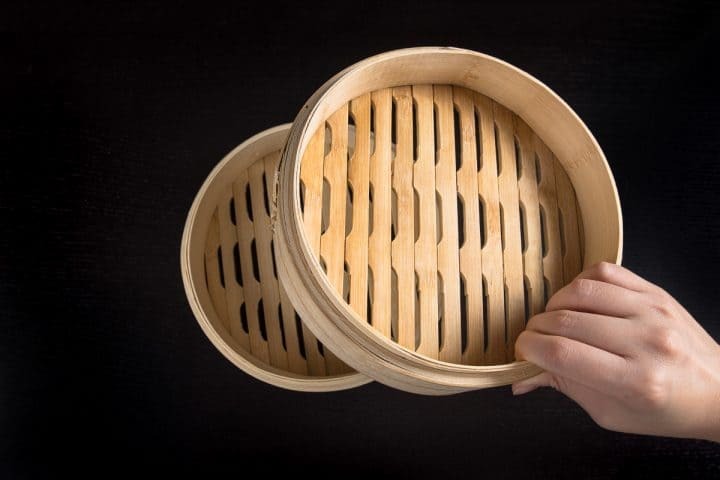 Is the only option a bamboo steamer? I am worried the buns will get wet and soggy with some of the other options or does it work? Stainless Steel Steamer Basket should work just fine. Just make sure the condensation from the lid doesn’t get poured onto the buns when opening the lid. Could the Temp-tation bowls be used in an instant pot? They can be used in an oven up to 500 degrees. If it is oven-safe up to 500 degrees, it should be fine in the Instant Pot. Do you know where i can find a pot insert. I’d like to have an extra on hand for a larger crowd. Sorry for the delay in response as your comment was marked as spam by the robot somehow. You can purchase the pot insert on amazon here. This works for 6 and 8qt IP. 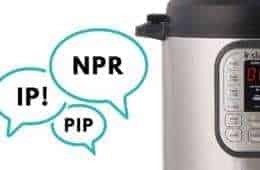 I received 3qt mini Instant Pot for Christmas. 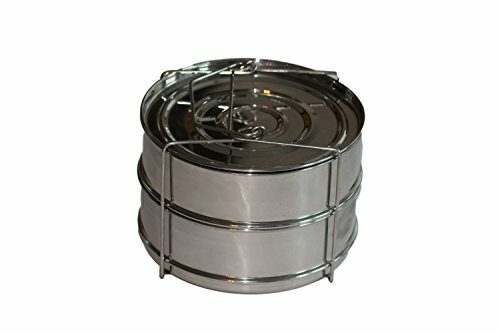 Which metal steamer basket would work for me? We just purchased the 8 qt Lux Instant Pot. Can we use the same recipes as published for the 6 qt? I would like to try the cheesecake in it with the 7″ pan, or do I have to do it with a larger pan? The recipes will work the same without any modifications. Can pyrex bowls and dishes be used in the instant pot pressure cooker? Yes, as long as they are oven safe. Can you use a hard plastic steamer in the instant pot? I have one that came with my rice cooker. I want to use it for sweet potato cubes. Thank you for your question. Hard plastic steamer is not safe in the Instant Pot. A silicone steamer will work. The Instant Pot comes with a trivet. 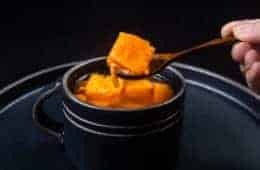 You can layer the sweet potato cubes on top with it. Merry Christmas & Happy Holiday to you! I Love your recipes and appreciate your attention to detail! Thank you very much! I am looking for a really deep bowl for pot in pot Instant Pot cooking, stainless or oven proof glassware. For the Wide Rim Steamer Basket you stated that we would have to remove the handles to fit into the Instant Pot. How did you go about removing them without distorting the basket? You can use a pliers and wiggle it up and down. It will come off quite easily. 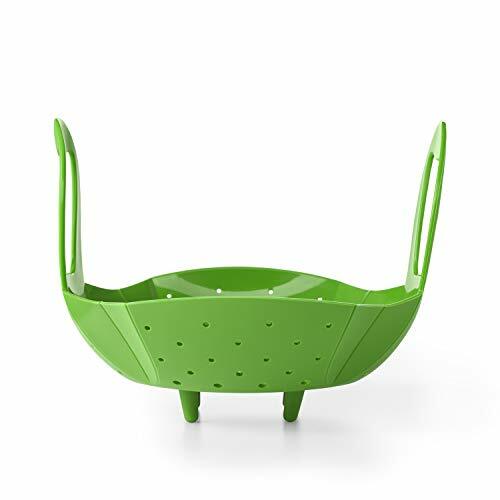 I just ordered/received the wide rim steamer basket. Any tips on how to remove the handles? They seem to be welded on pretty well. Thanks in advance. Use a plier and wiggle it up and down. It will come off quite easily. If the black handle is made of nylon (it usually is), it will be safe in the Instant Pot. To be extra safe, ask the store or site to see what material it is made out of. 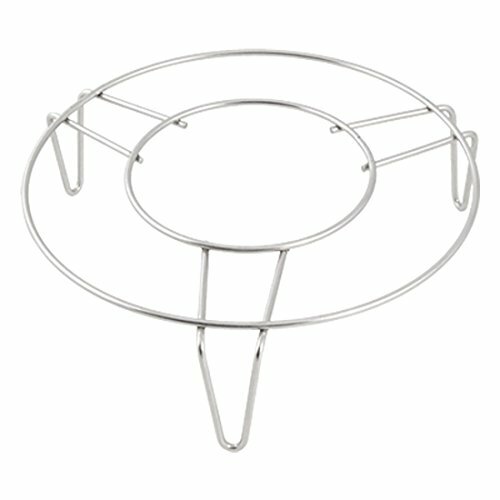 Hello Amy and Jacky, I am thinking about buying IKEA Stabil Steamer that looked like the Stainless Steel Steamer Basket. However I am worry that it will scratch the non-stick pot. Is your Stainless Steel Steamer Basket scratching your pot? The inner pot of Instant Pot is stainless steel so it is not a concern. If you are using a non-stick inner pot, place the stainless steel steamer basket carefully and it should be okay. Does it fit well with you instant pot? 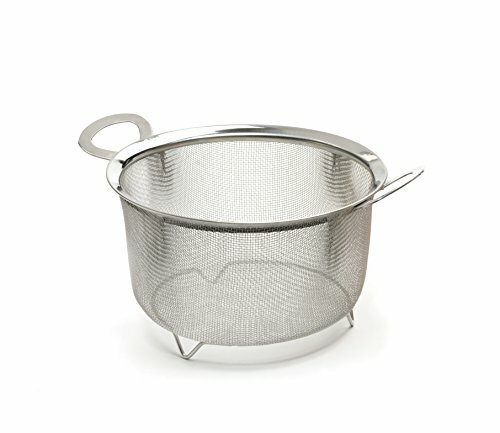 Where can I find the “Pressure Cooker Steam Rack Basket Set” and do you know the price? You can find the set on Amazon.com. It is $25. The steamer basket on Amazon is 579.00. We were very disappointed. I just saw the crazy price tag on the Pressure Cooker Steam Rack Basket Set.